Christmas Special: 5 for $125! 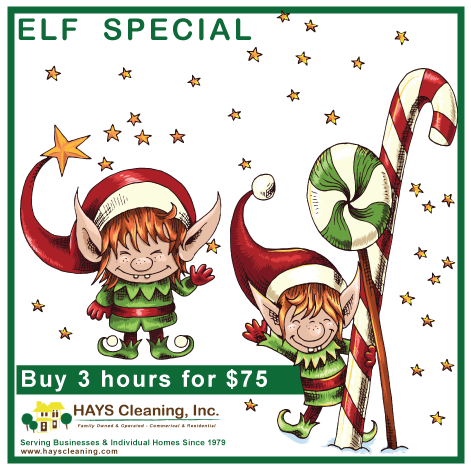 You are busy getting ready for Christmas and all that the Holiday Season brings – let HAYS Cleaning lend a hand! 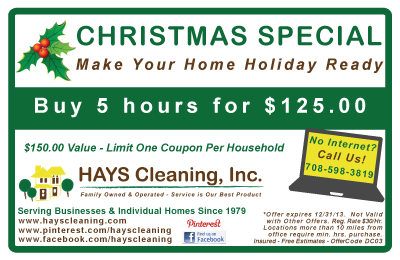 Take advantage of our Christmas Special: 5 hours of cleaning for $125.00! 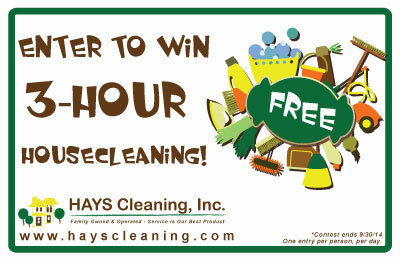 To schedule your cleaning, call 708-598-3819 or email mary@hayscleaning.com.